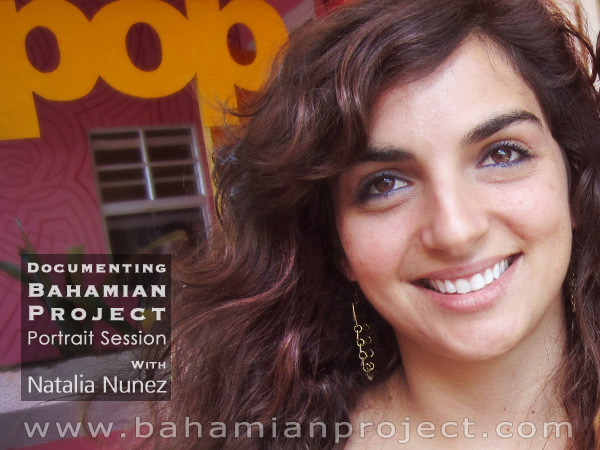 This picture of Natalia Nunez was taken right after her portrait session for the Bahamian Project. The final portrait images will be unveiled at the Exhibition Opening at the National Art Gallery of The Bahamas on July 11, 2013. Natalia, surrounded by a bevy of cute little puppies… that was the plan. It didn’t quite work out that way though. We brought in a half dozen of the cutest little pups from The Bahamas Humane Society and after a lot of cuddles and kisses and playing we set them in front of the camera with Natalia. But puppies don’t listen when you tell them to hold still and look at the camera. Puppies don’t stay in front of the camera. So, in the end we photographed Natalia with just one puppy. Twinkles was her name – also known as “the cutest puppy ever” as the good people at the Bahamas Humane Society referred to her. To say Natalia, fondly known as Potcake Tali, is a friend to animals would be an understatement. She is more like a young “Mother Teresa” of animals. To some she has been their only hope of survival. She has nurtured back to health many sickly suffering dogs doomed to die unnoticed and unloved on the cruel streets. She has made a difference… a big one certainly to the animals but also to people who are appreciative of what she does. Undoubtedly, she is one of the most compassionate amongst us towards animals and while compassion hurts you’d never know it by Natalia’s ever-positive friendly disposition. 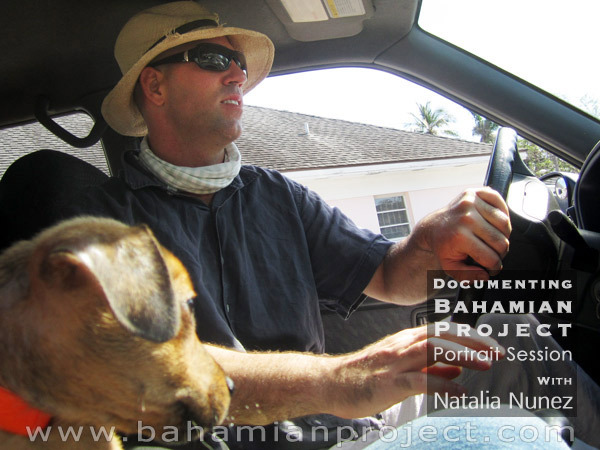 Thank you to the Bahamas Humane Society for allowing us to take the puppies for Natalia’s photo session. But thank you really for much more than that. Thank you to the hardworking, caring staff and volunteers who put in so much of their time and who work with less than sufficient resources towards the betterment of so many suffering animals. 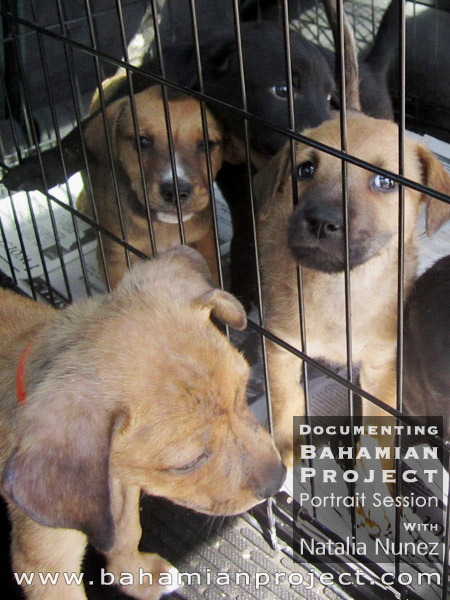 Thank you for providing compassion and shelter to the abandoned, neglected animals of The Bahamas. To anyone thinking of getting a pet, please give an animal a second chance… consider adopting a dog or a cat instead of buying a pet. Speaking from experience… Bahamian potcakes – and ‘potcats’ – make unbeatable companions. Im so thrilled about this! Highlighting our beautiful potcakes through the eyes of a true animal advocate who sacrifices so much of her time to help them….. The most worthwhile exhibit!